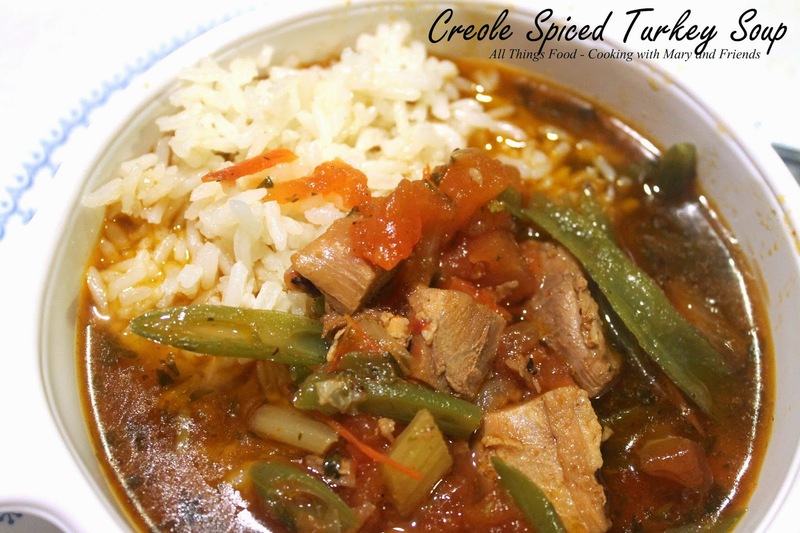 Leftover turkey and a few other ingredients make this tasty Creole Spiced Turkey Soup. It's spicy good for you deliciousness in a bowl. 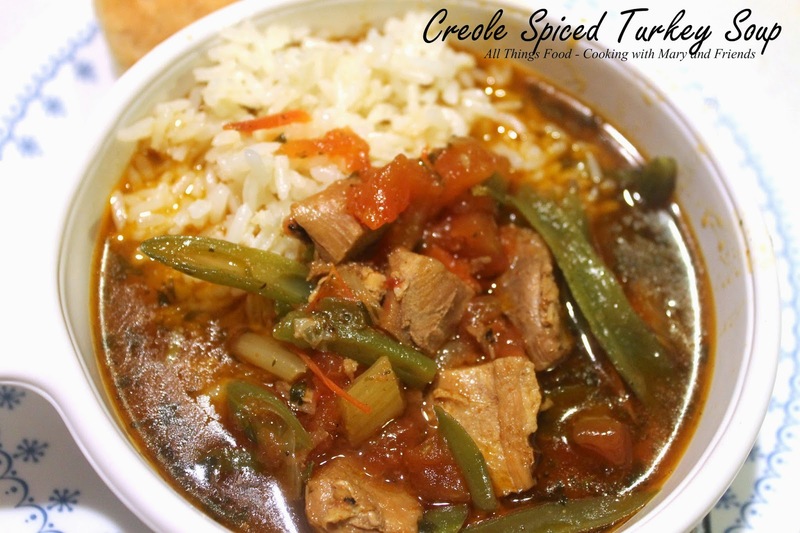 Creole inspired, it's a bowl full of comfort food for those cold winter days, quick and easy to make with leftover turkey or chicken. Heat olive oil in a large stock pot over medium-high heat. Add celery, onions and garlic and cook 10 minutes. Add cubed cooked turkey, stock, tomatoes, veggie of your choice, and bay leaves. Reduce heat to medium-low and simmer, covered for about 1 hour. Add cooked rice to each bowl and ladle soup over top. I do it this way because the rice will continue to absorb the liquid if it's cooked in the soup, so I always prefer to add it separately. Mix all spices together and store in a glass jar for up to 3 months.